The bright future of your business is an awarding result of your today’s investments into the sphere of professional education and development. The actual tendencies of the present days with the high speeds of information, with breaking up all the limits of communication throughout the globe, primarily require knowing the language at high communicative level. The success in any professional sphere is determined by the ability to communicate with your partners and colleagues all around the world. Search for a better place of work is more and more often associated with knowing a foreign language as well as perusing the career isn’t seen perspective without a foreign language among your portfolio of gained competences and skills. Knowing a foreign language at a high level as a requirement for your staff is a powerful instrument for your company in matters of further development and growth. Even the most ambitious targets become achievable with knowing an international language. Glory School offers corporate trainings for the companies of any profile and any specialization being ready to work out an individually tailored course for the specific needs of your team. The content of educational programs is individually designed by our academic team taking into consideration any particular requirements in matters of lexical or grammatical needs for your staff. As an introduction to the main part of our course we offer the students to go through the placement test to make sure that we pick up the most effective program for any particular level of knowledge. It’s done to keep the logics in studies lay-out and maintain a well-trained speaking skill. When we define the general language competences of your staff our teachers will organize an interview in order to define speaking abilities as well. This all will help us work out the most effective educational plan of studying a foreign language for your company. We see the main course goal in massive practice of spoken speech breaking up communicative barriers and enriching our students’ vocabulary. To achieve this target we provide our students with a wide range of communicative tasks varying all main language activities: speaking, listening, reading and writing. These are role plays, different debates, talk shows, quizzes and quests. Such creative approach in teaching stimulates our students’ motivation and helps to maintain a good level of students’ involvement into the process of learning. This course will be helpful for those who want to learn new techniques how to work with new vocabulary and use it in a spontaneous talk with a native speaker. Our students improve their fluency working in pairs and practicing dialogues with the most commonly used speech clichés. After the first ice breaker in the very beginning of the course and further on our teachers help the students get rid of a communicative barrier by means of logical structure of the lesson and gradual increase of complexity which maintains a good level of fluency in speaking. 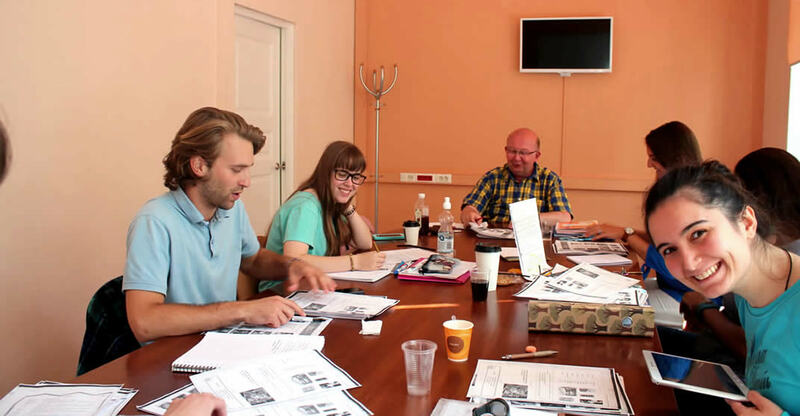 The main target of the course is to practically develop all language competences that lay in the sphere of business ethics and any problematic situations of communication that are associated with formal negotiations, correspondence of any format, making presentations and leading a business talk on the phone with the foreign partners and colleagues. 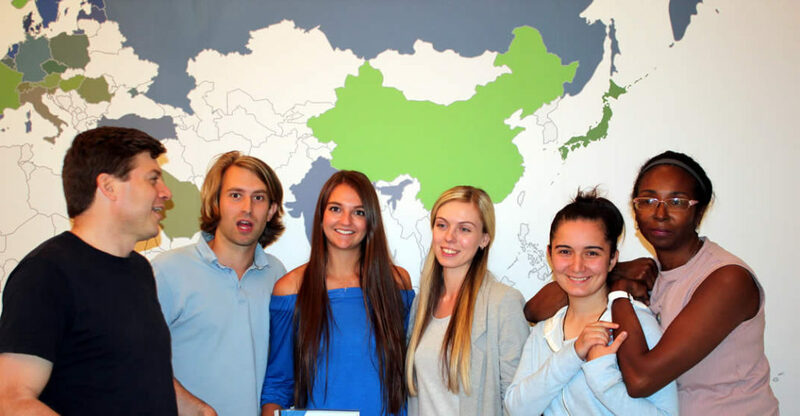 This course spots our students’ ability to collaborate with a foreign team as one of the most important communicative skills. 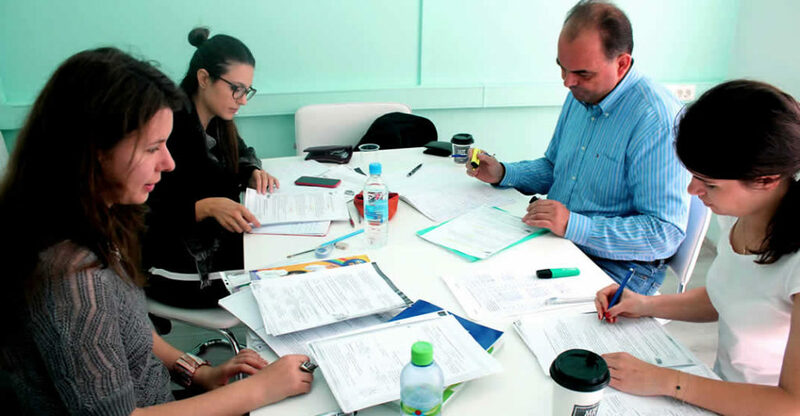 The topics of the course mainly cover those actual and up-to-date aspects of international business communication that our students will find the most essential in their professional development. Our students will learn the most common stereotypes and tendencies in leading successful negotiations with the partners from different parts of the world paying a special attention to how the styles of formal vs informal communication and expectations change from one part of the world to another. We are happy to work out any other specific programs that will lay in the professional sphere of your company.